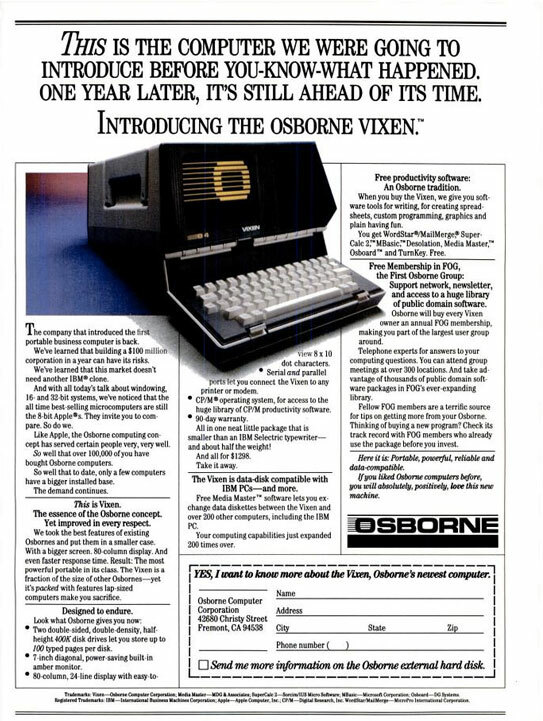 Released after the Osborne corporation had declared bankruptcy the Osborne Vixen was (along with the desktop Tatung Einstein which I wrote my project papers at university on) one of the last computers to launch running CP/M 2.2. 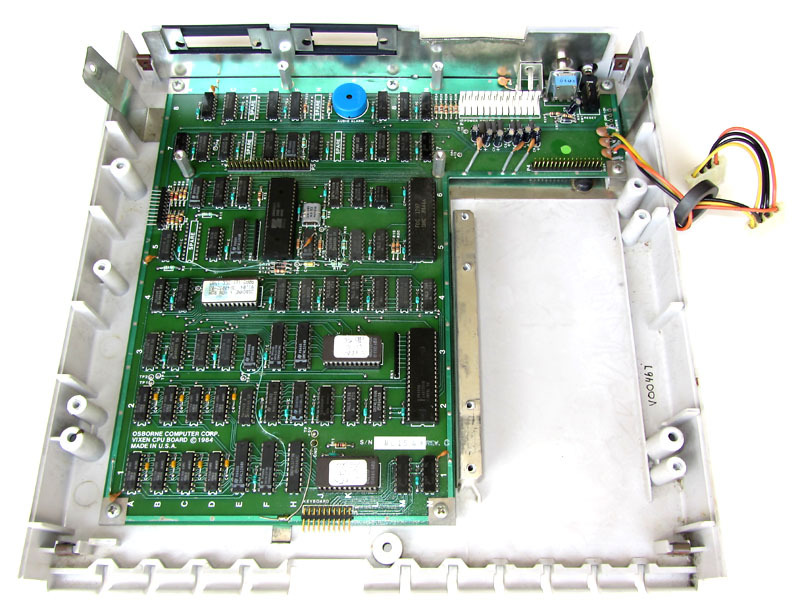 MSDOS based IBM PC compatibles were by now the de-facto standard. Even though it was supplied with a number of software packages, like Wordstar, Supercalc and “desolation” the Vixen was too little, too late to save Osbourne. 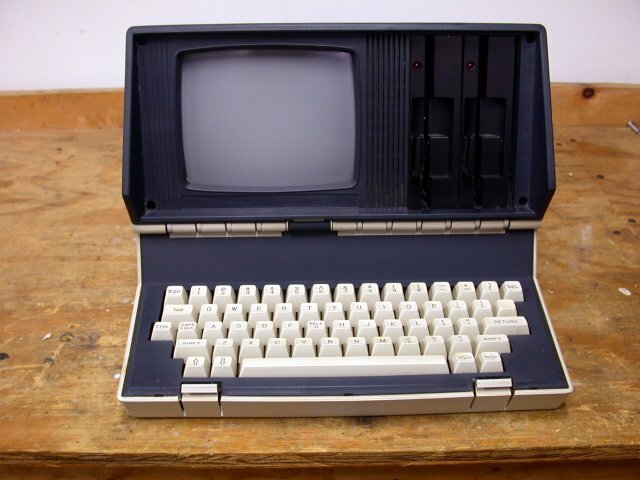 “The company that introduced the first portable business computer is back. We’ve learned that building a $100 million corporation in a year can have its risks. 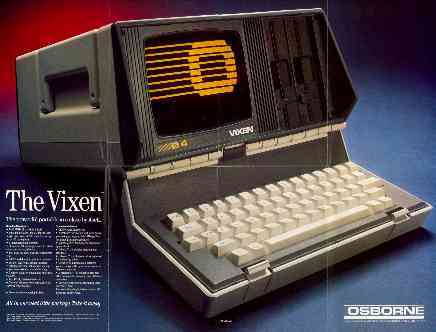 The Vixen was one of the first portable computers to be offered with an external hard disk drive. This was attached via a ‘Shugart Associates System Interface’ – which was renamed SCSI later. Like the Dolch PAC64, the Vixen was loved by users for its excellent keyboard.